There is no one more loved, revered, admired and adored in Riverdale than... Reggie Mantle? Well, at least Reggie doesn't think there's anyone as loved and admired as himself. And his best friend can back that idea up - his best friend, of course, being his dog, Vader. The unstoppable duo is known around town for pulling the funniest pranks, getting the hottest dates and throwing the best parties. And if anyone even dares to compete with them, there is going to be hell to pay. 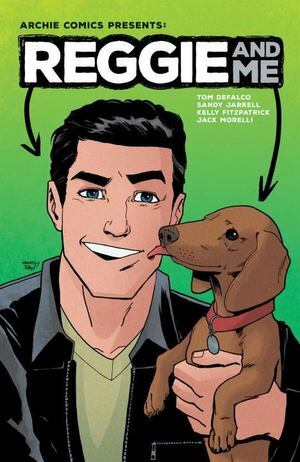 Come take a look at the life of your hero, the handsome, hilarious Reggie Mantle.